The J.R. Simplot Company, a leading potato processing company, struggled with a disparate cost management system that did not meet the needs of the growing company. They required a centralized cost system that offered easy access to critical cost information and advanced analysis tools to help the accounting team proactively manage costs. ImpactECS by 3C Software was implemented to centralize cost management for Simplot’s manufacturing and distribution locations, providing tools for standard costing, bill-of-material and recipe management, and scenario analysis. The selection of ImpactECS increased cost data visibility throughout the organization, improved the integrity of the data and decreased the amount of time the accounting staff spent on manual tasks that distracted them from meaningful data analysis. Over the years Simplot has invested in a number of business systems including the JDEdwards EnterpriseOne ERP system to handle the massive amounts of data needed to run their business. While JDEdwards is equipped to handle their transactional accounting needs, much of the costing process was mired in a spreadsheet maze that did not allow the company to focus on data analysis. The cost management process was disparate and chaotic, and a change was necessary for the company to remain competitive and grow their business. The first part of the challenge lay in the fact that each manufacturing plant maintained its own standard cost and budget spreadsheets. Data from production systems was manually entered into the spreadsheets which created two problems. First, the manual data entry process created many opportunities for errors and reduced confidence that the spreadsheet results were accurate. Second, the time spent on this task took plant personnel away from more productive, value-added activities. With the plant owning their own cost spreadsheets, there was little continuity between locations on how costs were calculated. All cost calculations were maintained by the plant manager and each plant had its own set of rules and methodologies. There were no bills-of-material or recipes documented for the locations and the plant operators were responsible for knowing this information firsthand. From the corporate side, the biggest struggle was the lack of a central view of costs across the production and warehouse locations. Corporate cost managers spent many hours consolidating information sent from the plants each month with little time to verify or analyze results. The sheer volume of information made it nearly impossible to track changes or assumptions and left no time to analyze the data before they received the next set of data. As the company grew, this process was unsustainable and Simplot needed an enterprise costing solution that could meet three needs: (1) easy access to critical cost information, (2) the ability to compare production costs between locations, and (3) advanced analytical capabilities to proactively manage costs. By adding an enterprise costing solution, Simplot could augment their transactional ERP system with the ability to maintain multiple standard cost versions for different time periods and model the effects of production volume, manufacturing spending and other variables to make better decisions. A number of factors influenced their decision-making process to select an enterprise costing solution. First, Simplot wanted a central location that held cost data for all of their plants and warehouses. Consolidation of the process would standardize how costs are calculated at each location to allow for comparisons and further analysis. Scalability was also critically important to handle the 200,000+ SKUs along with multiple bills-of-materials, labor crews, routings, and recipes. Eliminating manual data entry by integrating the cost system would achieve two goals – increasing data integrity and reducing time spent by plant employees on non-value-added activities. And, the system needed to have an easy-to-use interface to encourage end-user adoption for both plant and corporate employees. But most importantly, the enterprise cost solution needed to provide meaningful results that would improve their confidence in performance metrics and give business leaders the tools to understand the impact of their decisions. Simplot selected the ImpactECS Enterprise Cost System from 3C Software to handle their cost management needs. Top among their decision criteria, the flexibility of ImpactECS that would provide them with a completely custom costing model to calculate standards, produce budgets, and report results. The system is completely scalable to handle an unlimited amount of data and it integrates with their existing IT architecture. Finally, the logic is owned by the costing team, not the IT department, allowing the system users to develop models without the need for programming or source code changes. In ImpactECS, model administrators access the desktop client to create, calculate and copy cost models on the Enterprise Cost Server. Using SQL databases, ImpactECS stores a wide range of cost and production data including ingredients, GL codes, production volumes, routings, and BOMs needed to calculate detailed cost results. ImpactECS also pulls information from the business intelligence tool, Hyperion, which stores actual production data from JDEdwards. Once the cost models are calculated, results are posted directly to JDEdwards and Hyperion for reporting. By having an integrated solution, Simplot business leaders are certain that product costs are calculated using the most complete and accurate information. The centralized cost system released the corporate cost managers from spreadsheet consolidation tasks and allowed them to focus on forecasting and analysis. Automated annual update of standard costs in JDEdwards. Cost accountants are able to make a sandbox environment by simply making a copy of the current cost model. Because the duplicate model uses real data, the cost accountant can make adjustments to cost factors like raw material prices or volume changes to determine the best scenario for the next year. Once approved, the new standards are automatically loaded into JDEdwards to take affect with the start of the new year. With this process, the costing team eliminated three weeks of manual roll-ups to calculate and input new standards. Scenario analysis based on real-life assumptions and data. Cost accountants can quickly evaluate how changes in input costs will change product costs. The ability to make decisions based on real data without impacting production systems gives Simplot confidence knowing how the changes will affect results for future time periods. As a result, better information is shared with sales, procurement, operations and leadership to improve decisions. Simplified process to build standard costs for new products. By giving the plant managers access to ImpactECS, they can enter new product specifications and BOMs directly into the system daily. ImpactECS retrieves additional cost data from other systems and new standard costs are calculated. Once the new products are approved by corporate, the models are synchronized and weighted-average standard costs are calculated and loaded directly into JDEdwards making it easier for the transactional ERP systems to have the most current data. Costed Materials Requirements Plan (MRP) provides full accounting picture. With ImpactECS, Simplot has automated their MRP for specified time periods to better plan for raw materials spending and achieve production goals. Management of Bills-of-Materials and Recipes. Multiple BOMs based on individual lines or locations are stored in ImpactECS giving the team the ability to calculate true standard costs at the plant level as well as an weighted-average standard cost for use in JDEdwards. This detailed approach based on actual process steps increases the accuracy of other financial analysis that requires cost data. Multiple sets of cost data combined with JDEdwards data allows analysis of numerous variances. Plant standard costs are benchmarked against each other, corporate standards, and actual costs. Other analysis includes mid-period standard cost changes compared to budgeted standards and future period proposed standard costs versus current standards and actuals. With ImpactECS, Simplot is able to perform sophisticated analysis not available with spreadsheets or their ERP system. Since the company was essentially starting from scratch with developing their custom system, they tapped into the expertise of the 3C Software professional services team to design their system. 3C Software industry and application experts were paired with the accounting operations manager, business analysts, and plant accountants from Simplot to develop the models and interfaces that fit their environment. And unlike most business system installations, the ImpactECS implementation project was completed within budget and in only nine months. With the introduction of ImpactECS to Simplot’s manufacturing cost process, the company was able to employ smarter and more effective business processes. 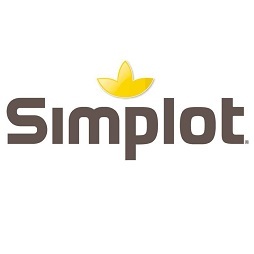 By integrating their costing process with their existing IT architecture, Simplot now has an auditable, customized cost system that can handle more complex data and delivers accurate and detailed results. The centralized approach to cost management offers Simplot an invaluable approach to managing their business. To learn more about ImpactECS and discover how it can help your company produce results, call 800-226-2036 or visit our contact page for more information.